The Summer University Project School (SUPS) is taking place from 7th-14th December this year in Cluj-Napoca and the participants are about to be chosen. 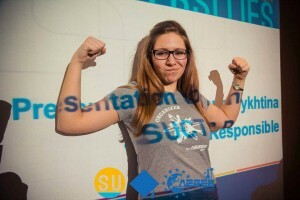 We asked Anna Pykhtina, a traveler, cycler, Ukrainian, member of AEGEE-Kyiv and also PR Responsible of SUCT (Summer University Coordination Team) and Training Manager of the event, a few questions so we can find out more about the project that helps you discover and create the best Summer University. How did you become Training Manager for SUPS? Anna: Frankly, I didn’t plan to become Training Manager of Summer University Project School as I already attended it this March in Izmir as SUCT representative. But there were some reasons why I changed my mind – being Training Manager of such great event is new, exciting, challenging for me and I adore this mix of excitement and a bit of fear at the same time as it makes me feel so alive! As I saw the project from inside, now I am willing to make it even better. Last but not the least, after one year in SUCT, I realized how important is to organize a European School dedicated to the Summer University Project, the most popular and famous one, on the highest level. We need to share the idea of making it better, more focused on learning objectives, more open to different activities, more aiming to make new members active afterwards, and SUPS is one of the best ways to do it! Why is SUPS organized earlier this time? The preparations for a Summer University start much earlier than many AEGEEans think. The submission of a preliminary program, the name of each SU, dates, price and description have to be submitted in early January, therefore the core of the organizer’s team – Main Coordinator, Incoming Responsible and Treasurer have to be chosen even earlier. So there is a huge amount of work before «Day X», the 1st of March, when the list of all SUs is online. SUCT has to check every program and count the amount of fee. It is also the time to work on a PR strategy and time to start arranging places and looking for partners for organizers, so that’s why we are insisting on the importance of organizing SUPS so early. The SU project is a long-term project for every local and to make the life of organizers easier we are preparing sessions and workshops that will cover topics such as: Leadership, Motivation, Teambuilding, PR, Fundraising, and we’ll explain how to make a efficient budget, how to deal with problematic participants and any kind of problems. Coming back home, our participants will have their head full of new, but extremely important knowledge and lifehacks. How do you feel about AEGEE-Cluj-Napoca organizing this event? I am working with the main coordinator from AEGEE-Cluj-Napoca, Bia, and Andra from the Academy together for a month and I can say that I am very satisfied with both of them. We have a common vision about how the project has to look like and everyone knows their fields of responsibility. I can fully rely on them and it makes the preparation process interesting and exciting! 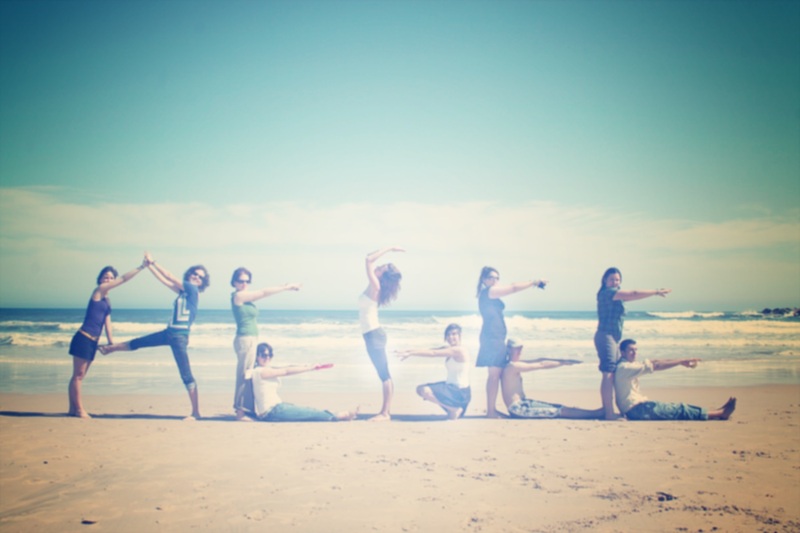 I also heard a lot of good comments about their Summer University, so I am sure that we will rock this SUPS! Moreover, I am very excited to visit Cluj-Napoca as I never visited this part of the continent and I am curious to see the city and country. Therefore, I am sure it is also one more benefit that will persuade people to apply. The application period for trainers is over. How will you select the trainers? The Summer University Project School is a great event not only for participants, but also for organizers as they can deliver a big amount of interesting topics and share their own experience. We received eleven applications this year and compared to last year, it will be more difficult to choose: all of them have strong personalities and the majority already has impressive experience as trainers and SU organizers! So we will have to choose the best of the best – reading carefully every application and taking into consideration the number of SU organized and participation in other projects. The Academy, SUCT and AEGEE-Cluj-Napoca will vote and the results will be announced soon. So, future participants, you have to trust us, we will have amazing trainers for you! How many participants will there be? Are you looking for someone special, some kind of skills and knowledge from a participant? We are expecting to have around 25 highly motivated participants who will use their gained knowledge while organizing a Summer University as this knowledge is really comprehensive. But not only those who are going to be Main coordinators, Incoming Responsibles and Treasurers, those who will be helpers and also those who still doubt to join – they are our target audience and we encourage you to apply! We are not looking for any specific knowledge or skills, just a desire to learn how to contribute to the Summer University project effectively. During the SUPS not only workshops, but also real Study Cases, taken from this year’s projects will be delivered to participants and each of them will have a unique chance to discuss how to solve any kinds of problems we face every summer. We all know that a Summer University is an event that effects the image of every local and it is for both AEGEE newbies and experienced members, so we also suggest board members to think about attending it or to send their potential SU organizers. You might call me too ambitious, but I strongly believe that the Summer University Project School that will take place from 7th to 14th of December in the beautiful city of Cluj-Napoca, will be one of the greatest events of the year. Imagine – amazing trainers with their different and great approach of giving presentations, active and interesting participants who are willing to learn so they appreciate and use every possibility to learn and experience more and helpful organizers who take care of a exciting social program! In the end, SUPS is also some kind of simulation of Summer University where not only participants, but everyone who’s involved in the process is having a new experience. I expect that together we will not only learn basic things, but go deeper into the strong and weak sides of the project in order to improve it and give our suggestions to newly elected members of the Summer University Coordination Team. You can find more info on their Facebook page here, and check out the application form here!